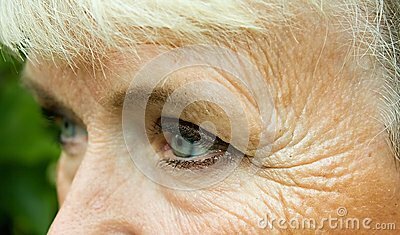 (RxWiki News) Before anti-VEGF medications like Avastin (bevacizumab) and Lucentis (ranibizumab), patients with age-related macular degeneration (AMD) had much worse outcomes, a new study found. That study, which looked at the visual acuity of nearly 650 patients with AMD, found that around half of these patients still had vision that was good enough that they could read standard print and legally drive in most states. AMD causes gradual vision loss in older people. Before the advent of anti-VEGFs around a decade ago, standard AMD treatments only helped maintain 20/40 vision in around 15 percent of patients, said the researchers behind this study. In the current study, after five years, around 50 percent of patients using anti-VEGFs maintained 20/40 vision or better. Twenty percent saw extreme declines in their vision to 20/200 or worse, and the remaining patients fell somewhere between those two outcomes. Vision of 20/200 in both eyes is considered legally blind for the qualification for receiving disability benefits. “Although anti-VEGF treatment has greatly improved the prognosis for patients overall, we still need to find ways to avoid poor vision in these patients and to decrease the burden of ongoing treatment,” said lead study author Dr. Maureen G. Maguire, a professor at the University of Pennsylvania Perelman School of Medicine, in a press release. This study published recently in the journal Ophthalmology. The National Eye Institute provided funding. A few of the authors had ties to pharmaceutical companies.